China’s birthrate could keep falling even without the one-child policy. Will China’s Birthrate Keep Falling Even Without the One-Child Policy? 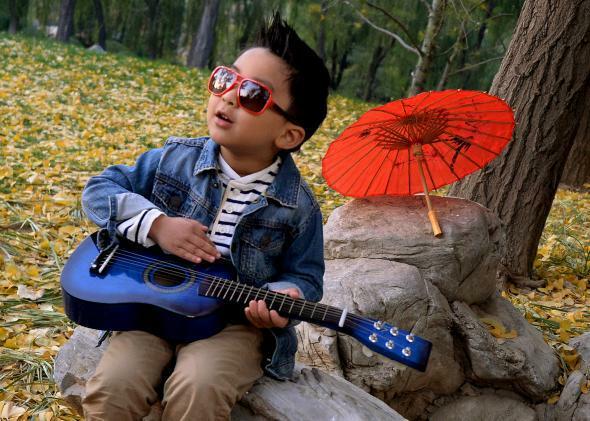 A Chinese boy is filmed playing the ukulele for a video to promote his stage career, which is managed by his mother, at Ritan Park in Beijing on Nov. 10, 2013. It’s also interesting to note that on the CIA World Factbook’s ranking of “countries” by fertility rate, the bottom four spots are occupied by Singapore, Macau, Taiwan, and Hong Kong. Hong Kong’s fertility rate is 1.11, compared with 1.55 for mainland China. All of these places are predominantly Chinese in ethnicity and culture. Two (or three, depending on your point of view) of them are actually part of China. None of them has the one-child policy—just the opposite in Singapore’s case. It’s misleading to compare the demographics of small city-states with the world’s largest country for the same reasons Matt Yglesias recently explained in reference to D.C. These places also have density concerns that China doesn’t. On the other hand, it’s generally been the case that when societies become more urbanized and affluent—both currently goals of the Chinese government—birthrates drop. Beijing and Shanghai are currently the Chinese regions with the lowest fertility rates. So as China gets richer and more urban, and mainland cities start to look more like the autonomous ones, it doesn’t seem likely that we’ll see a big increase in births, no matter how many children people are legally allowed to have.